This design look like a premium business card, but it is free. I made this card for web designers and graphics designers. 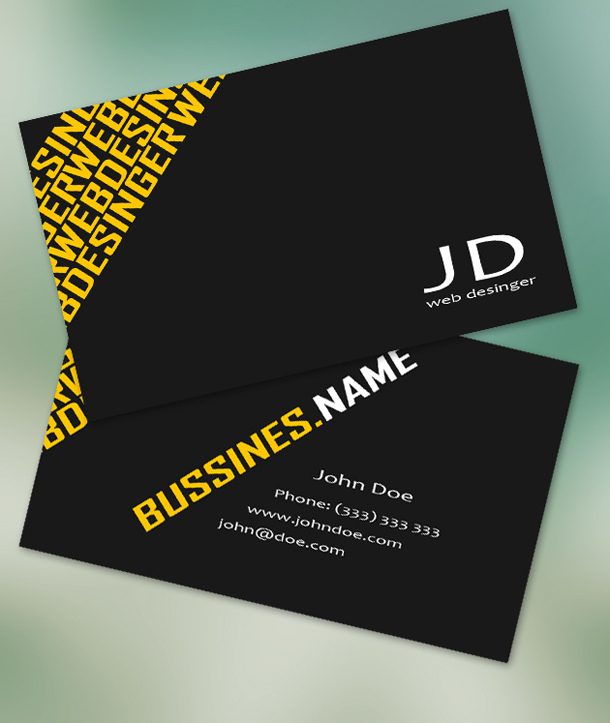 Won’t it be great to start your business with this cards ? Just download them bellow and print. Zip file content: 1 PSD full layered, 2 JPG (front and back design) and the readme file.